This morning, many Instagram users reported on Twitter the loss of more than 500 followers. Famous users like Ariana Grande and Selena Gomez lost millions of followers overnight. Famous users and Influencers like James Charles, fashion stylist for the stars, saw losses of 2 up to 3 million followers, as was desperately reported on Instagram’s official Twitter. Even Instagram’s official account lost the same 3 million followers reported from one moment to the next, leaving plenty of confused users across the Internet. 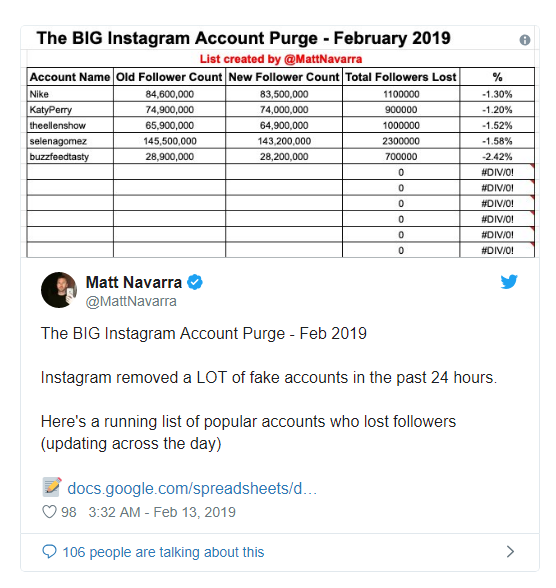 Many of these users speculated the problem was due to a general clean-up by Instagram in an effort to erase fake or inactive accounts. Then, Fake messages began to appear everywhere, talking about the alleged purge. It makes sense, this would not be the first time Instagram goes after fake accounts and bots. Add to this the fact that over these last weeks there have been reports of many fan accounts that were deleted with no explanation whatsoever. Also, Twitter has been erasing accounts likewise over the last couple of months. This information is rather troubling since Twitter is the most important social network on the political front and many times, as a political candidate, your Twitter following is associated with overall popularity. The speculation continued. Even the idea of a glitch affecting Instagram numbers circulated among the Twitterverse. In a dramatic turning point, users began to report that Instagram had erased all their photos from their account. Panic kept growing while Instagram kept silent. Important accounts kept dropping followers left and right. Big and small users searched for solutions all over the web with many actually succeeding after updating the app, many others weren’t so lucky. Even Matt Navarra, a popular social media consultant, started to list important accounts and their losses. 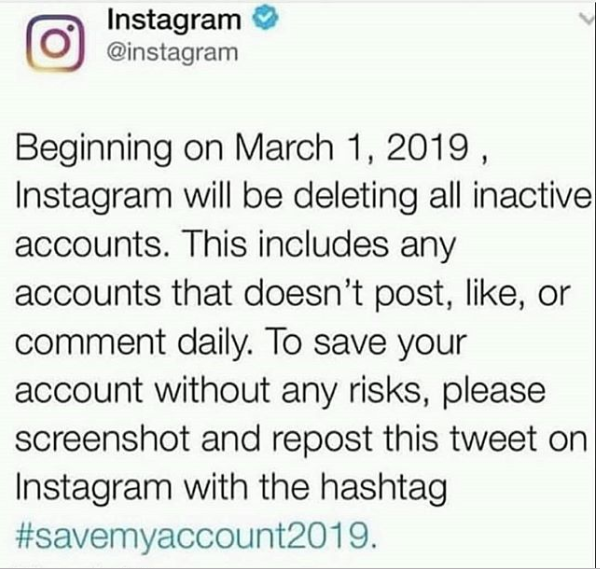 Panic spread so fast that many users promised to drop Instagram altogether, claiming that the work of personally making each post wasn’t worth the trouble if there was a constant risk of losing thousands of users out of the blue. Finally, at around 6 a.m. Instagram made an announcement through Twitter. This message makes it clear that this was not an intentional clean-up. A few hours after the announcement, many users reported their accounts were back to normal. Up to the moment of writing this article, it is unknown if the problem is 100% fixed, while many users are now reporting the can’t follow back affected accounts. Not only does the problem still persists, but new problems have been added. Let’s not forget that for Influencers and Micro-influencers at least, the number of followers is what gets them sponsors. Losing followers for these users is equal to losing money, worse if it is by accident. For famous people, these losses could mean less engagement and community which, if it’s not an intentional clean-up, translates into direct losses for Instagram.